Wear debris generated by a total hip arthroplasty (THA) bearing can cause considerable damage to the surrounding soft tissues and bone, compromising patient function and causing long-term pain. In the case of a traditional bearing, a metal (or ceramic) head articulates with an ultra high molecular weight polyethylene (UHMWPE) cup. The polyethylene debris generated is processed by the macrophage, and through a cascade of cytokines, results in an inflammatory response. The inflammatory response causes a surrounding toxic reactive synovitis. Frequently an associated pronounced osteolysis phenomenon occurs, compromising implant fixation. 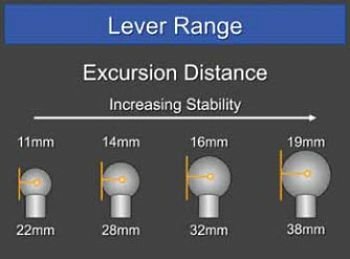 The significant bone loss makes subsequent revision THA very difficult and can affect long term implant survival. Furthermore, bone tissues can resorb via osteolysis, resulting in significant bone compromise. Clarke and others have described wear patterns on hard-on-hard bearing constructs that lead to the formation of excess wear debris. [1,5,9,14] Stripe wear is one such pattern typically seen when a bearing repetitively subluxes sub-clinically, meaning the event occurs without the patient sensing that the levering action is occurring. Stripe wear was first described with ceramic-ceramic bearings and has also recently been described with metal-on-metal bearing constructs. [4,5,8] With metal-on-metal bearings, repetitive sub-clinical subluxation is still the mechanism responsible for stripe wear formation, whether it be from a levering mechanism or by a joint distraction phenomenon (head distraction at end of limb swing phase) (Figure 1). Figure 1. Diagrams demonstrating the etiology of stripe wear generation on an alternative (hard-on-hard) hip bearing. Diagram on left (a) shows stripe wear generation as the femoral head distracts out of socket during swing phase. Diagram on left (b) depicts stripe wear forming as a result of hip levering when the bearing is at end range. In both scenarios, the stripe forms when the head makes point contact at the metal edge of the socket. Another wear pattern mechanism for the metal-on-metal bearing is edge scratching. This occurs when the bearing dislocates and is subsequently reduced. It is thought that scratches generated by the dislocation event could later “self heal” by a polishing phenomenon. Others feel that a dislocated metal-on-metal bearing is doomed for an accelerated wear pattern for the rest of the life cycle of the prosthesis. In this case we describe the wear patterns of a large diameter metal-on-metal bearing that had previously dislocated twice before the bearing was revised. We also describe for the first time a new bearing wear pattern seen in this retrieval specimen. The patient is a 65-year-old female who has suffered from rheumatoid arthritis for more than 30 years. She had been treated aggressively with multiple disease-modifying anti-rheumatic drugs (DMARDs) including anti-TNF agents, methotrexate, and prednisone. She had undergone multiple joint replacement procedures to treat polyarticular disease. The right hip was initially replaced in 1990 with a cementless porous-coated cup and stem. Her hip was revised 13.5 years later, in August 2003, for mechanical loosening as a result of significant polyethylene induced osteolysis. The acetabulum was revised with a cementless porous cup with screws and the stem was revised with a cementless modular revision stem. Her stem healed with stable osteointegration, but her cup failed to successfully integrate. 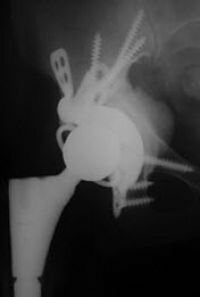 Her cup migrated to develop a protrusio deformity and 20 months later (April 2005) the acetabular cup was revised with a triflange cage (MaxTi, Biomet Inc. Warsaw, IN). A large-diameter metal monolithic cup (Magnum, Biomet Inc.) was cemented into the cage. Anteversion was set at 25 degrees with a theta angle of 40 degrees. The head used was a 44-mm diameter cobalt chrome alloy metal head with a titanium alloy modular neck adapter. A neck length of minus 6mm was used and impacted onto a 4-degree included angle taper junction (Figures 2a and 2b). Figure 2a. Preoperative AP and Lowenstein lateral radiographs. In these radiographs, the monolithic all-metal cup is cemented into the triflange cage. Both the cage and stem show stable bone fixation. Osteopenia is evident as this patient is on long-term prednisone. Figure 2b. Postoperative AP radiograph. The all-metal cup has been replaced with a constrained polyethylene cup cemented into the cage. Notice the metal ring at the periphery of the socket. This is to limit plastic deformation of the polyethylene when the hip is taken to end range. Pelvic reconstruction was successful, but the patient dislocated her hip 16 months after surgery when she was in a position of hyperflexion getting out of a low chair. A closed reduction was successful under anesthesia in the operating room. A second dislocation occurred four months later, again while the patient was in a position of hyperflexion. After her first dislocation, she noted repetitive intermittent hip clicks with sit to stand. These clicks were not painful. The acetabular cup was revised after her second dislocation. At the time of revision surgery the hip dislocated with the hip at 105º of flexion and internal rotation of 20º. In this position the greater trochanter impinged upon the anterior column of the acetabulum causing hip levering and dislocation. Trochanteric impingement occurred because of lack of hip offset. Observation of the soft tissues around the hip showed no metallosis. There was no toxic reactive synovitis evident. The acetabulum was revised to a constrained acetabular component (Freedom, Biomet Inc.) The neck length of the head was increased to a plus 3mm, which reduced greater trochanteric impingement with flexion and internal rotation. At 3.5 years after surgery, the patient enjoys a pain-free hip that remains functionally stable. Surface analyses of the bearing included wear maps and surface roughness measurements employing a coordinate measuring machine and metal surface scan with scanning electron microscopy (SEM). Regional wear patterns were identifi ed relative to polar and equatorial regions of the cup and head. Wear features included main wear zone (mwz), stripe wear zones (swz), cup rim wear breakout (rbo), areas out of round, and volumetric wear. The visual inspection showed obvious deep arcuate scratches that occurred during the reduction maneuver. Figure 3. Photograph of retrieved head. Note the long scratches from the reduction maneuver. Also note at the base of the ball, the multiple metal pits. The pitting phenomenon is best described as an asteroid impaction zone. We suspect this area was damaged by free carbide fragments that were crushed between the bearing surfaces. Figure 4. Surface scanning electron photograph of the explanted 38-mm femoral head focusing on deep scratch regions. These longitudinal areas were created during the hip reduction maneuver, and these areas of damage are different from the stripe wear marks that occur from repetitive subclinical subluxation. These deep stripes measured by SEM imaging show twin polar stripes of width 100-250um. These can be 1 to 10 um deep, i.e. the Grand Canyon of the wear track. Adjacent to the canyon trough, the collateral wear stripes were made generally orthogonal to the canyon trough as a result of normal bearing movement. Also, unique to this retrieval, were large deep pits (Figures 5), which were located at the base of the femoral head. These craters are thought to emanate from carbide particles that had broken off and became crushed in between the bearing surfaces. To our knowledge, this is the first time this type of wear pattern has been observed from an in-vivo retrieval. Figure 5. Surface scanning electron micrographs illustrating the new wear phenomenon of pitting at the base of the head. This pitting area looks analogous to an asteroid impaction zone. We suspect these pits occurred from free carbide fragments getting crushed between the bearing. Another possible source could be methylmethacrylate fragments. However, at the time of revision surgery, the cement mantle within the cage was intact. This specimen also demonstrated multiple stripe wear patterns (Figure 6). Even though clinically the senior surgeon felt that the positioning of the stem and cup was reasonable, repetitive subluxation was occurring in multiple directions. The reason for the levering phenomenon was thought to be due to lack of offset in the prosthetic construct. This allowed for greater trochanteric abutment against the pelvis at end flexion and rotation. This resulted in levering of the femoral head creating the ultiple wear stripes observed in this case. Figure 6. Photographs of retrieved head. In right photo, stripe wear lines are colored to aid in visualization. Note the multiple wear stripe lines. Interestingly, there are stripe wear lines that cross. These stripe lines have formed as a result of repetitive subclinical subluxation that occurred in multiple directions. Large-diameter THA bearings are popular among surgeons because they are nherently more stable than smaller diameter bearings. Large-diameter bearings confer their stability via two mechanisms. The first mechanism is an optimized head to neck ratio. 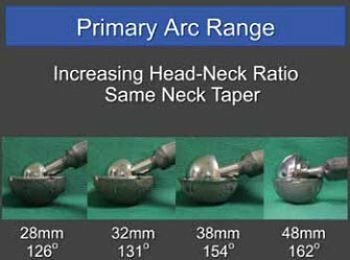 A large-diameter head attached to a narrow neck significantly increases primary arc range and is more stable (Figure 7). The second mechanism is the increased “excursion distance” to lever out of socket. A larger diameter head requires a longer distance to lever before complete dislocation out of socket (Figure 8). Figure 7. Photograph demonstrating the effect of increasing head to neck ratio. In this example, head diameter increases while neck diameter remains the same. Hip range improves in proportion to the increase in head-to-neck ratio. Although the large diameter head may not dislocate, it is susceptible to repetitive levering. Repetitive levering scratches the head at the edge of the acetabular rim. Figure 8. Photograph illustrating the effect of increasing excursion distance. When the hip starts to lever, the distance the head needs to travel to dislocate is equal to the head radius. As head size increases the head becomes more inherently stable. However, as excursion distance increases, the extent of potential scratching increases proportionally. Larger-diameter heads however, are more susceptible to multiple stripe wear formation. Furthermore, a patient may challenge a large-diameter bearing in various positions, creating the scenario of multiple stripe wear marks. All stripe wear marks are adverse wear regions. The greater the number of stripe regions on a bearing, the greater the risk for increased debris formation. This can result clinically in an adverse wear response. This retrieval specimen demonstrates that the so-called “in-vivo polishing” effect of a metal-on-metal bearing does not occur. From our review, the introduction of the canyon trough from the reduction maneuver was an additional source for in-vivo scratching. This scratching occurred orthogonally to the trough, vastly increasing the surface area for wear debris formation. In a large-diameter bearing the extent of the head travel (defined as the absolute distance the femoral head travels during a full arc range) is greater than that of a small head. Thus, for any defect created, the larger-diameter head will generate a larger area of collateral damage. Finally, we identified a new phenomenon of wear damage to a cobalt chrome bearing. This is the “asteroid impaction” pattern of wear. When carbide particles are broken off from the bearing (as with a dislocation/reduction event), these free asperities get crushed within the bearing causing significant local damage. The findings on SEM were analogous to the appearance of an asteroid that had slammed into the surface of the moon. This “asteroid impaction” is a very adverse wear pattern. This retrieval analysis suggests that the dislocation of a large diameter metal-on-metal bearing is a worrisome scenario for wear debris formation. In fact, a canyon trough created by a dislocation combined with repetitive sub-clinical subluxation probably represents the worse case of in-vivo wear debris formation. For the surgeon, a patient with a dislocating large-diameter THA should be monitored frequently to check for adverse wear debris formation. We advocate baseline serum metal ion testing after the dislocation event should the surgeon and patient decide not to revise immediately. The patient should then be checked for metal ion levels every 6 months until stable levels are achieved. If metal ions increase to worrisome levels, we advocate revision of the THA bearing. If the patient suffers another dislocation, we recommend revision of the bearing construct. Edward J. McPherson, MD, FACS, is from LA Orthopaedics, Los Angeles, California. Ian Clarke, PhD, is from the Peterson Tribiology Laboratory, Department of Orthopaedics, Loma Linda University, Loma Linda, California. Thomas K. Donaldson, MD, is from the Donaldson Arthritis Research Foundation, Colton, California. McPherson EJ, Clarke I, Donaldson TK. Lesson Learned From Retrieval Analysis of a Dislocating, Large-diameter MoM Revision THA: A Case Report. Reconstructive Review, August 2012. 2(2):10-14. Used with permission. Clarke I, Donaldson T, McPherson E, Peters C, John A, J.Y. L, Smith E. Is wear different in small vs. large MoM bearings? International Congress on Joint Replacement. San Diego, California, 2012: Poster #23. Fang CS, Harvie P, Gibbons CL, Whitwell D, Athanasou NA, Ostlere S. The imaging spectrum of peri-articular inflammatory masses following metal-on-metal hip resurfacing. Skeletal Radiology. 2008; 37(8): 715-722. Harvie P, Giele H, Fang C, Ansorge O, Ostlere S, Gibbons M, Whitwell D. The treatment of femoral neuropathy due to pseudotumor caused by metal-on-metal resurfacing arthroplasty. Hip International. 2008; 18(4): 313-320. Kubo K, Clarke IC, Donaldson TK, Lazennec JY, Shishido T, Yamamoto K. Damage of the bearing surface in retrieved metal-on-metal THA: Report of 29 failure cases. ORS Annual Meeting. Anaheim, 2011:Poster 1212. 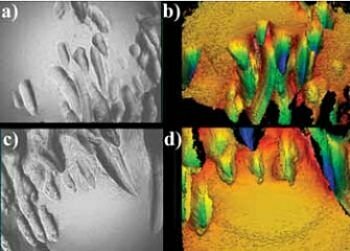 Manaka M, Clarke IC, Yamamoto K, Shishido T, Gustafson A, Imakiire A. Stripe wear rates in alumina THR–comparison of microseparation simulator study with retrieved implants. Journal of biomedical materials research. Part B, Applied biomaterials. 2004; 69(2): 149-157. McKellop HA, Campbell P, Park SH, Schmalzried TP, Grigoris P, Amstutz HC, Sarmiento A. 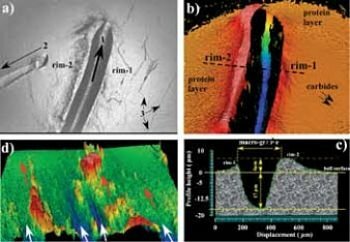 The origin of submicron polyethylene wear debris in total hip arthroplasty. Clin Orthop. 1995; 311: 3-20. McPherson E, Peters CL, Clarke IC, Donaldson TK. Stripe wear in metal-metal THA bearing retrieval analysis of large diameter articulations. AAOS. San Francisco, CA, 2012:Poster PO77. Morlock MM, Bishop NE, Zustin J, Hahn M, Ruther W, Amling M. Modes of Implant Failure After Hip Resurfacing: Morphological and Wear Analysis of 267 Retrieval Specimens. J Bone Joint Surg Am 2008;90:89 -95. Murray DW, Grammatopoulos G, Gundle R, Gibbons CL, Whitwell D, Taylor A, Glyn-Jones S, Pandit HG, Ostlere S, Gill HS, Athanasou N, McLardy-Smith P. Hip resurfacing and pseudotumor. Hip International. 2011; 21(3): 279-283. Pandit H, Glyn-Jones S, McLardy-Smith P, Gundle R, Whitwell D, Gibbons CL, Ostlere S, Athanasou N, Gill HS, Murray DW. 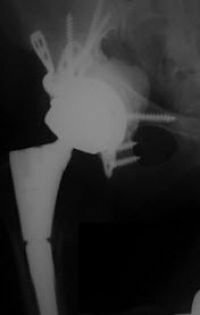 Pseudotumors associated with metal-on-metal hip resurfacings. The Journal of bone and joint surgery. British volume. 2008; 90(7): 847-851. Pandit H, Vlychou M, Whitwell D, Crook D, Lugmani R, Ostlere S, Murray DW, Athanasou NA. Necrotic granulomatous pseudotumors in bilateral resurfacing hip arthroplasties: evidence for a type IV immune response. Virchows Archiv. 2008; 453(5): 529-534. Peters CL, McPherson E, Donaldson TK, Clarke IC. Pathologic, Serologic, and Tribologic Findings in Failed Metal on Metal Total Hip Arthroplasty. AAOS. San Francisco, CA, 2012. 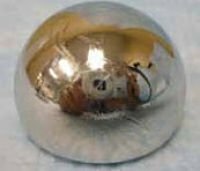 Shishido T, Yamamoto K, Tanaka S, Masaoka T, Clarke IC, Williams P. A Study for a retrieved implant of ceramic-on-ceramic total hip arthroplasty. The Journal of Arthroplasty. 2006; 21(2): 294-298.